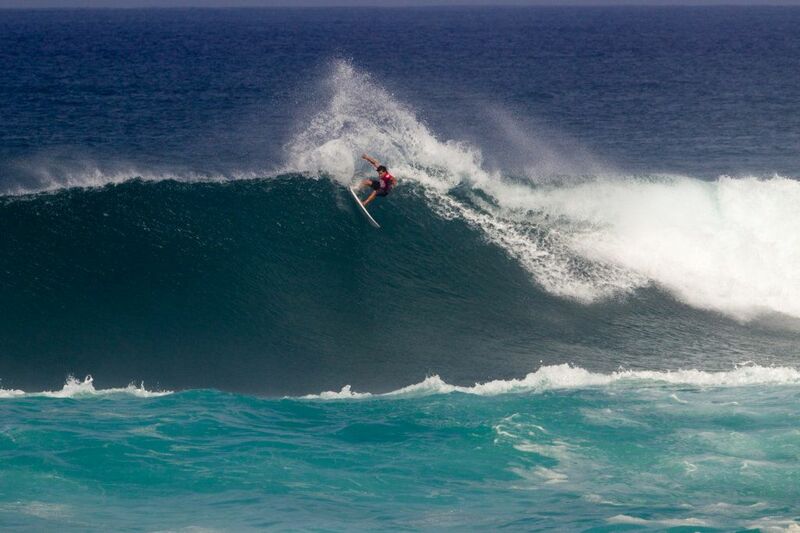 Wade Carmichael scores the highest two-wave total of the day, a 17.50. 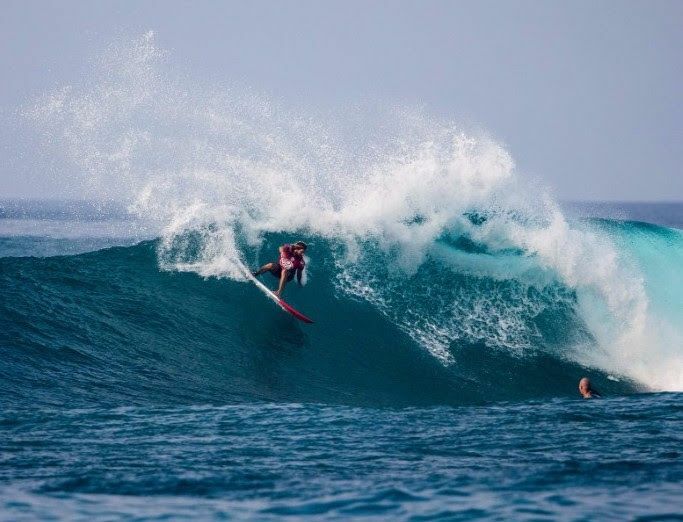 HALEIWA, Oahu/Hawaii (Sunday, October 29, 2017) — Hot off a runner up finish at the World Surf League (WSL) Pe‘ahi Challenge Big Wave event on Maui, Billy Kemper (HAW) returned home to Sunset Beach to further his competitive run at the Vans Presents the HIC Pro, where he won his Round 2 heat today. Champion of the HIC Pro in 2010 and multi-finalist throughout the years, Kemper looked solid in the 6-8+ foot surf on offer today despite a meniscus and MCL injury that he suffered on a 45+ft. wave at Pe‘ahi. Up against an international mix in the last heat of Round 2, Kemper proved his Sunset prowess against Kade Matson (USA), Tristan Guilbaud (FRA) and Shun Murakami (JPN) for first place advancement. He takes this competition as seriously as any, and has worked incredibly hard this year in preparation for winter on the North Shore. With consistent surf on tap, competitors were treated to equal wave-scoring opportunities in the ideal conditions. A polished performance from Wade Carmichael (AUS) ended the day in dramatic fashion as the QS campaigner dropped a 9.67 in the final heat of the day, and the highest two-wave heat total of the competition, a 17.5. Winner of the 2015 Hawaiian Pro, Carmichael registers as a perennial threat on the North Shore and uses the HIC Pro to warm up for the Vans Triple Crown of Surfing. The Australian’s power surfing suited Sunset perfectly today and his 9.67 was awarded after multiple explosive maneuvers were dropped from take-off to finish. Wildcard Kalani David (HAW) made a comeback today after being out of competition for a year due to a heart condition. His strong performance today was a solid indicator that David is back in full force and eager to regain his place amongst Hawaii’s best, thanks to North Shore veteran Joel Centeio (HAW). 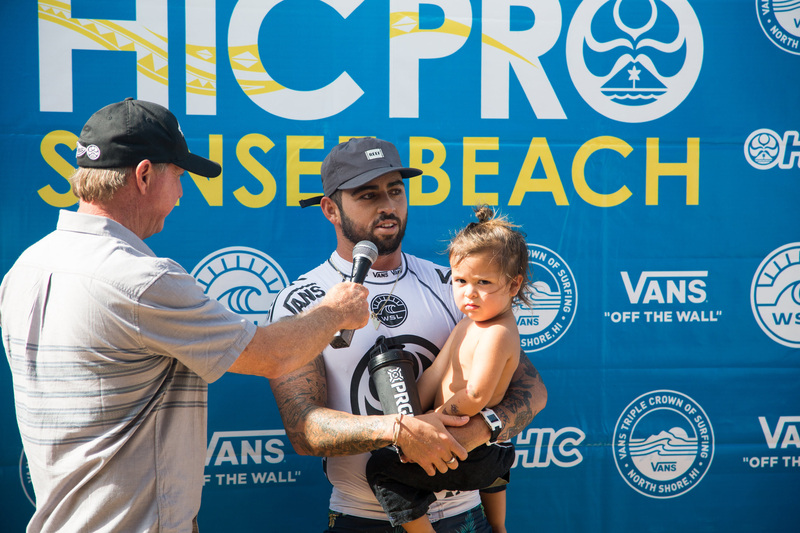 Centeio, Hurley Surf Coach and advocate for Hawaii youth, handed his wildcard over to David in an act of selflessness and good faith. Margaret River’s Jack Robinson (AUS) had the second highest single wave score of the event, a 9.17 for a display of clean surfing on a set wave, combined with a committed finish in the critical section of the wave. “I’ve done that a lot out there before, so when the right wave comes it doesn’t really matter, it’s just if it lines up I’m going to do it,” said Robinson. “I’m stoked, I didn’t know it was going to be this big so I’m just happy it’s real Sunset.” Robinson backed up his near-perfect ride with a 6.50 for calculated maneuvers and a small but clean barrel on the inside. 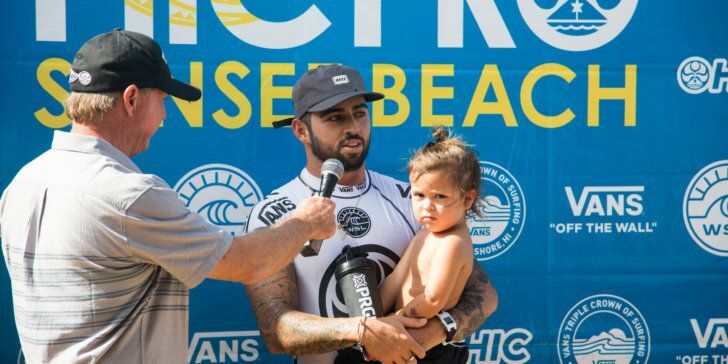 Championship Tour rookie and Honolulu native Ezekiel Lau narrowly made it through the heat behind Robinson to edge out young gun Wyatt McHale (HAW) and Maui’s Hank Gaskell. Lau showed his CT-level composure by nabbing the needed score in the final minute of the heat. 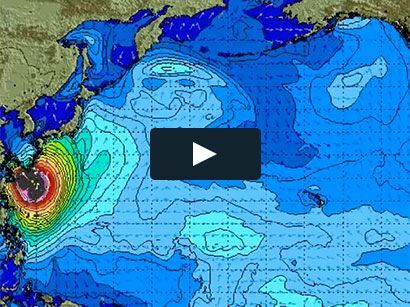 The swell is forecast to decrease slightly through tonight and provide 4-6 ft. tomorrow with similar conditions. Contest organizers say Thursday looks promising for the final day of competition, with a winner being crowned around 3:30pm.